Bass fishing in Mozambique is in it's infancy. Although we suspect that there are many undiscovered waters with good stocks of Bass the only one that has confirmed populations and is accessible is Lake Chicamba, near the town of Chimoio in Central Mozambique. Watch this space, we will be adding details of this exciting new fishery soon. 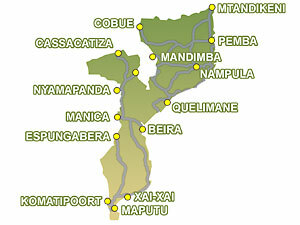 Lake Chicamba is situated in the Manica province of Mozambique close to the Zimbabawe border. More info . . .